If you are moving home, either to unfurnished rented accommodation or to your own property, you may find you have a lot of furniture to take with you. This is not a simple task and can seem daunting to the novice mover. This article should provide you with all the information you need to make your furniture removal Croydon worry free. The size, weight and shape of furniture means it’s never going to be simple to transport like your other items that are easily packed in to boxes. However you can make it easier for yourself so that moving your furniture is an easier process. The first thing you should do is make all items as light as possible. This will mean emptying all wardrobes and filing cabinets and boxing up the contents. 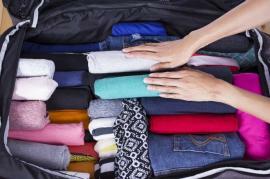 This will also mean you don’t run the risk of breaking or loosing something stored within your items during transit. When inside the lorry or van it is essential that you secure all your large pieces of furniture with straps. 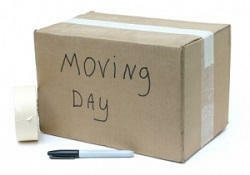 These are available online, from removals outlets and will most likely be provided by your removals company. This is essential as it is a way of making your items do not shift around during transportation. If your items do move around you run the risk of them getting damaged. If you are worried about your items getting damaged you can wrap your items in padding such as bubble wrap. This is especially useful for wooden items that run the risk of being scratched or dented. You can also buy specially made furniture pads for DIY shops that will help to protect your furniture against knocks and scrapes. If you have any flat pack furniture or items that come apart in sections then it is advisable that you deconstruct them as much as possible before the move. This way you will not only minimise space used in the truck but you will also minimise the risk of damage to your items. If you have small screws and bolts to go with your furniture make sure you put them in a secure bag and tape them to the item. That way you won’t be rummaging around looking for lost screws when it comes to putting your items back together again. When choosing the size of the van or lorry you are hiring for your move it is best to get the smallest size possible. This is because you do not want your items rattling around within the vehicle during transportation. Make sure your Croydon removals company comes over and assesses your items before your move so that they can get a good idea of the size of the load they are dealing with. When loading the truck make sure that health and safety is kept in your mind throughout. If an item is too heavy to lift then it should be wheeled out to the vehicle so reduce the risk of you or your removal men injuring themselves. When working out where to place your items within the truck you need to make sure that the weight of your items is distributed evenly across the whole vehicle. By placing the heaviest items in the centre of the truck and the lighter items around the edges and in the corners, you reduce the risk of the truck being unbalanced. This is important as it reduces the risk of the vehicle being unbalanced and unsafe to drive during transit. Though moving furniture Croydon is never going to be a simple task, if you follow these guidelines and go about it in a sensible manner you should be on track for a safe and worry free moving day.